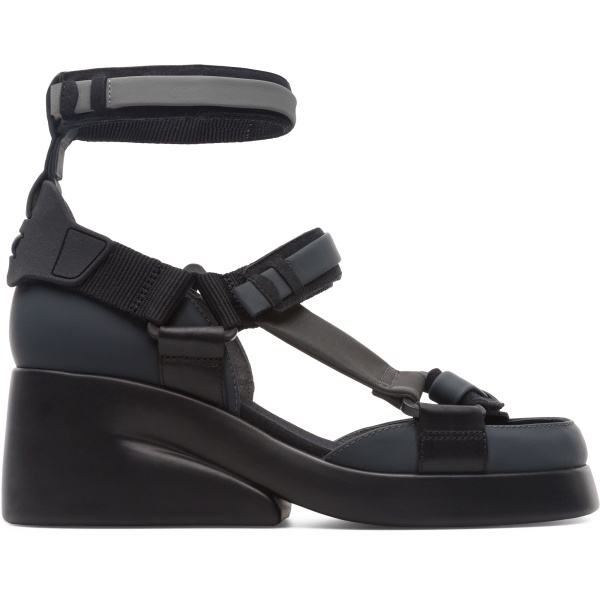 With a bold, contemporary design inspired by Futurism and Brutalism, these black wedges with ankle ties offer a playful twist on avant-garde style. 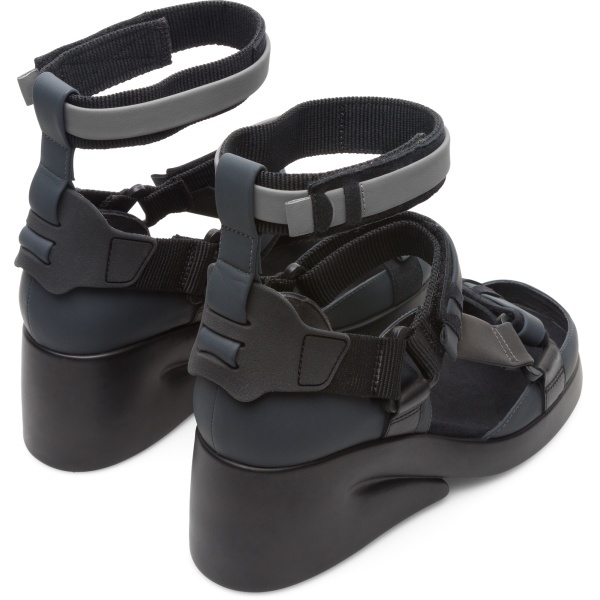 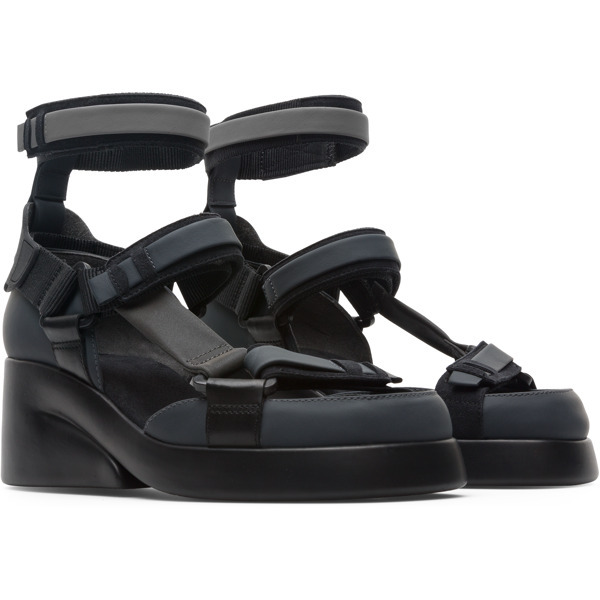 The uppers are breathable and made of rubberised matte leather, while TPU outsoles make the sandals surprisingly lightweight given their chunky 6.6 cm wedge heels. 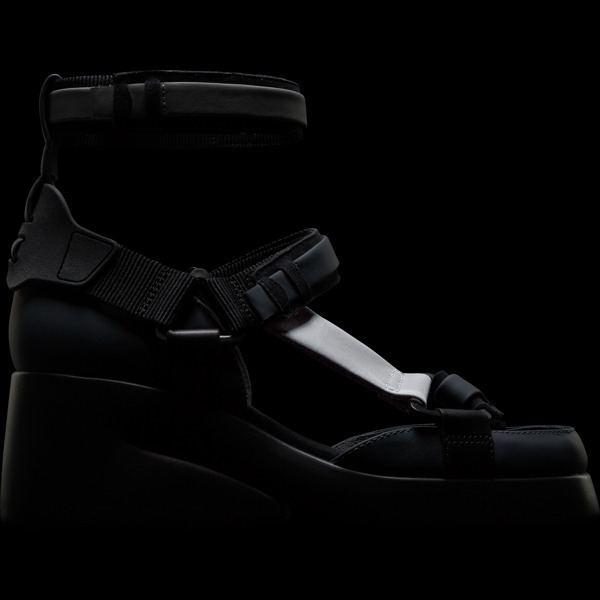 OrthoLite® insoles and OrthoLite® interior padding cushion your feet and help keep them dry.